Last week, we had the honor of attending the 10th anniversary of the forum and could not have been more giddy for the opportunity. 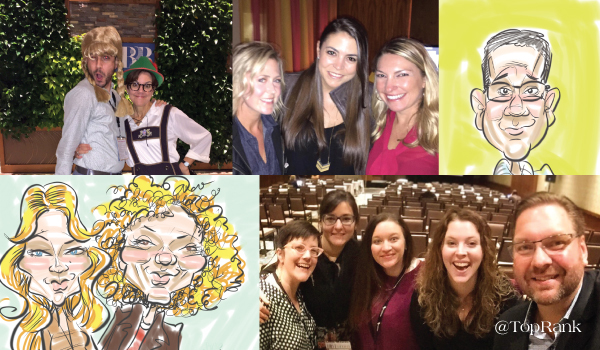 We attended some awesome sessions, met amazing people, connected with some of our favorite clients and friends, hosted a TopRank Marketing fiesta (complete with a caricature artist) and dove head first into the experience. 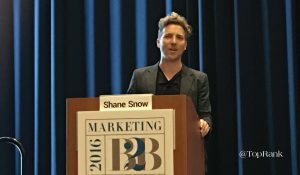 For those of you who weren’t able to attend (although I would strong suggest attending next year if you can), we’ve put together some highlights from our magical adventure through the MarketingProfs B2B Marketing Forum. What makes someone influential? Is it popularity? Is it celebrity? Is it the fact that they have niche expertise? And how do you identify, activate and continue to build on your relationships with influencers? 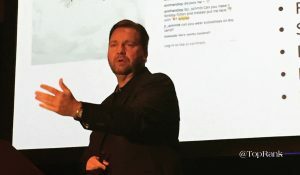 In his session, TopRank Marketing CEO Lee Odden delivered actionable tips, tools and examples that answered all these questions and more. The creative struggle is real for marketers. Creativity is necessary and intertwined with everything we do. But we often find ourselves aspiring to be more creative than actually harnessing what’s already inside us as creators. In this post, Jay Acunzo, founder, host and writer of Unthinkable.fm, drops a few truth bombs about creativity that will inspire new confidence in your abilities. The C-Suite is becoming more and more frustrated with marketing performance. More times than not, marketing is seen as a cost center, not a profit center. Now more than ever, marketers have an opportunity to shift the perspective and hyper-focus on what really matters. 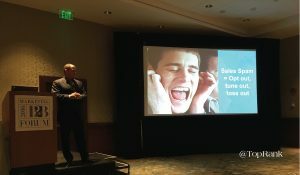 GE Digital’s Chris Moody took a deep dive into what’s wrong with B2B marketing today, and steps that marketers can take to mend what’s broken. We are creating more and more content to the point that our audiences are overwhelmed and having trouble finding the gems amongst all of the garbage. 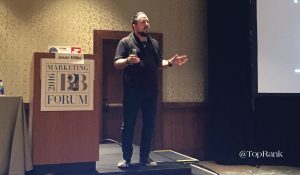 If you really want to rock your B2B content then Jason Miller of LinkedIn is just the person to listen to. 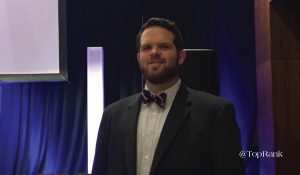 Jason shared helpful tips on everything from building your strategy to creating big rock content and repurposing. 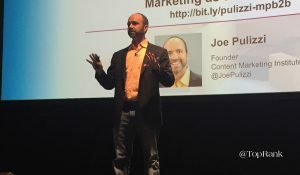 When the Godfather of Content Marketing, Joe Pulizzi has a session that describes how to profit from content creation, it’s time to pay attention. Why? Who better to speak on the subject than someone who has built a content media company from the ground up, with enormous success? When it comes to creating quality content that informs, entertains, engages and inspires action from our target audience, we marketers wish we knew one thing: exactly what our audience is thinking. 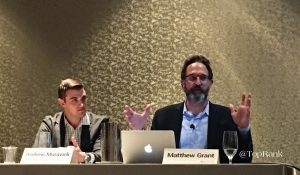 While that may not be exactly possible, Aberdeen Group’s Director of Content Strategy Matthew T. Grant and Research Analyst Andrew Moravick shared three options for getting closer to savant status during their session. Read the full story here: Marketer or Mind-Reader? The most successful account based marketing strategies integrate sales and marketing efforts. In this piece, Jon Miller, CEO of Engagio details the difference between traditional demand gen & account based marketing, and provides actionable tips on how sales and marketing teams can coordinate. While social media marketing has existed for over five years, many marketers don’t inherently look to social as a means of driving revenue. 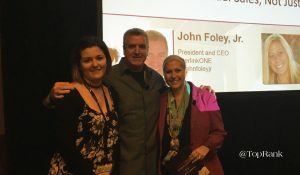 In this session, John Foley Jr. and Karen DeWolf of InterlinkOne provide tactics for using social media as a prospecting tool. They also answer some burning social media marketing questions in a Q&A. As content marketers, we need to be in the business of storytelling if we want our content to resonate and inspire. 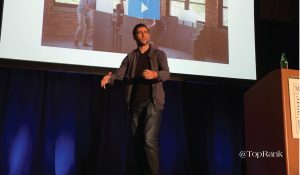 In his presentation, Chief Creative Officer and Co-Founder of Contently, Shane Snow, dove into why storytelling is so important and provided a framework for telling those stories better. I may have been sad on Monday morning but now that reality has settled in, I’m excited to put everything that I learned into practice with my team at our home office. You had better believe that we’re counting down the days until we get to return to the magical land that is the MarketingProfs B2B Marketing Forum. If you attended the event or just read the buzz online, what do you think was the most important takeaway from the event? You know we love having you guys there. Thanks for always being awesome, and for helping us make our 10th an exceptional year. See you next time! !